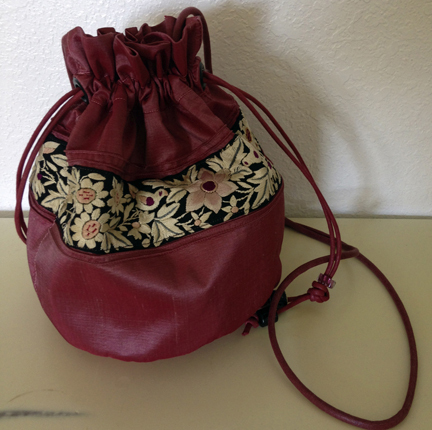 Created from Juli Walter’s mother’s handmade-in-Tokyo jacket. 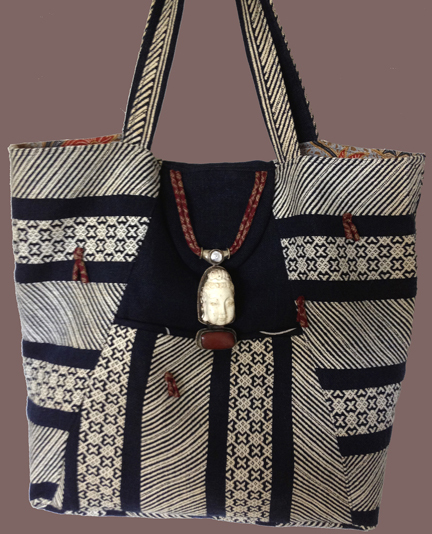 When Lynda Sakraida is the featured artist at The Gallery at Ward Centre, you know there’s a treat in store for anyone who loves textiles, notions, fashion and accessories. 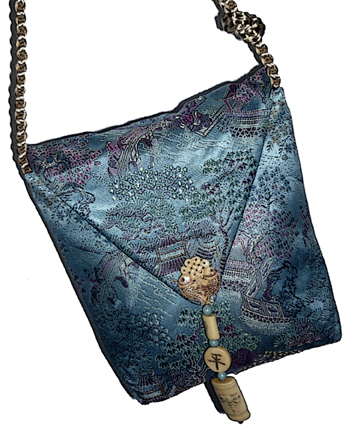 Featuring Cora Yee’s vintage silk velvet trim. A bridal veil Lynda dyed teal to cover old age spots. Love those baubles! Indeed. Her process is totally organic. I have watched her work. She spreads out the fabrics near her sewing machine and places the notions all around them, selects a color of thread that works and simply starts to sew. Pieces are patched, zippers are attached, buttons and amulets added. One task just flows into the next. Who could possibly keep up with her and be an assistant? 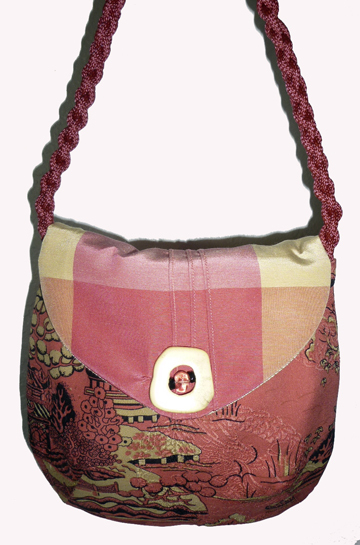 Silk bag fashioned from a pair of old Citron pants. Lynda is sharing the show with artist Doug Young, who will be showing his newest work, “Keawaiki.” Expect the spectacular from Doug! 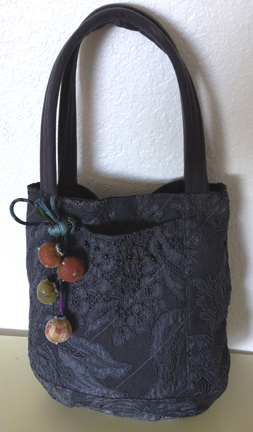 This bag started out as a custom made cheongsam from one of Cora Yee’s aunties.